1. 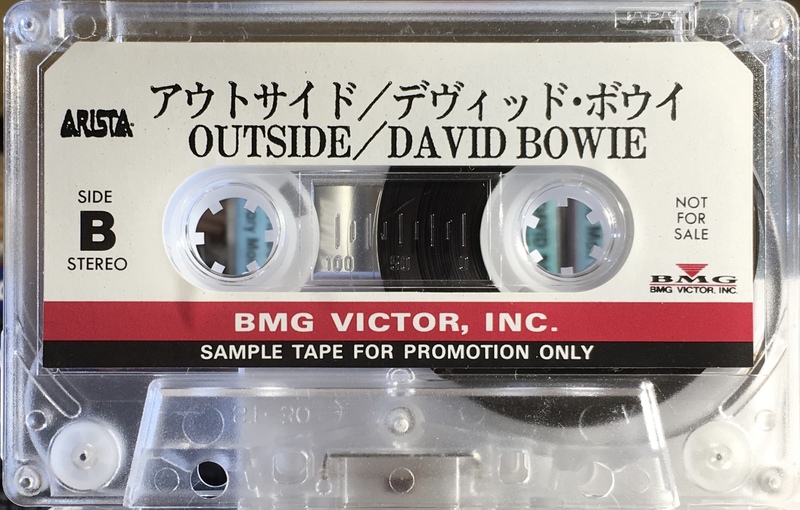 Outside: Japan; ARISTA/ BMG; 1995. Sample tape for promotion only. 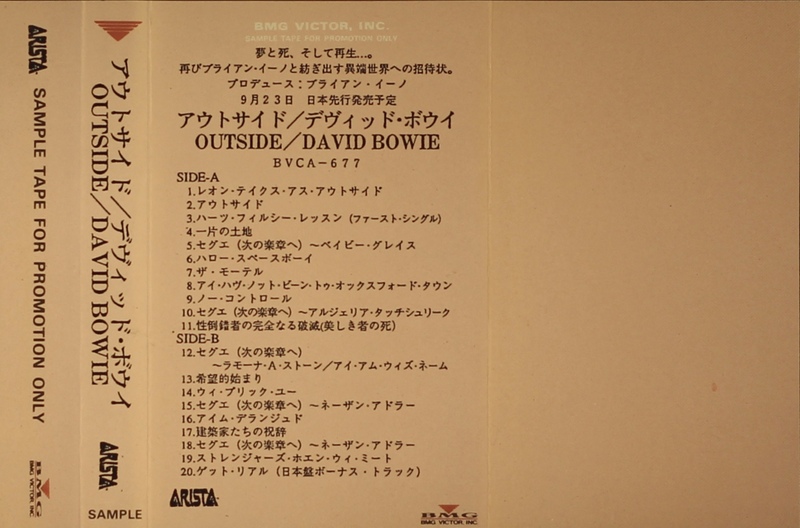 Plain paper cover with track list on front in Japanese. Marked ‘sample tape for promotion only’ on top of cover and spine. 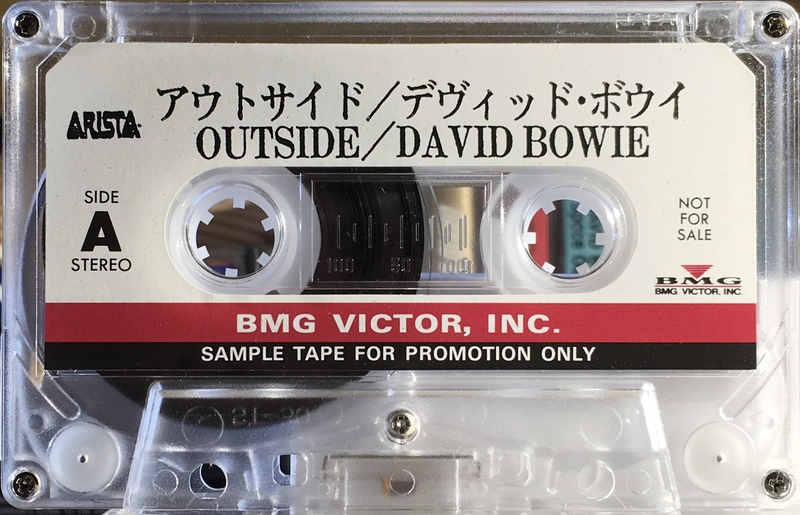 White BMG Victor Inc label on frosted transparent shell. Marked ‘sample tape for promotion only’ and ‘Not For Sale’.